Physitemp has redesigned the original Thermes high-accuracy ISA-based data acquisition system to create a more versatile USB model. The new USB data acquisition system does not need to be connected to a computer. 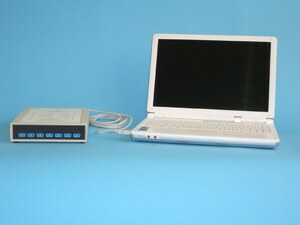 Users can simply connect this system on their desktop computer or laptop through an external USB port. There are two versions of the data acquisition system. 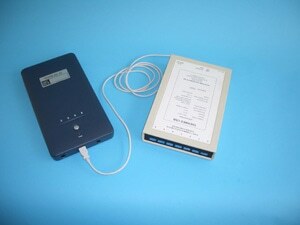 The standard version, THERMES USB, can be connected to a computer USB port, while the wireless type, THERMES USB WFI, can be directly connected to a USB port or with the built-in wireless receiver, positioned up to 100 feet away from the host computer. 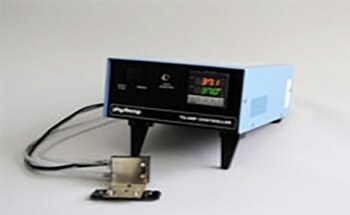 Each unit can accommodate up to 7 type T thermocouple sensors and additional Thermes units can be connected to the same computer to accommodate more thermocouple inputs. A highly accurate electronic cold junction compensation circuit maintains a typical system accuracy of ±0.2°C over an ambient temperature range of 15 to 35°C. Individual offsets can be added to every input in software to allow individual calibration of each channel. Users can visit the company’s site to get more information on a wide range of Type T Thermocouple temperature probes. 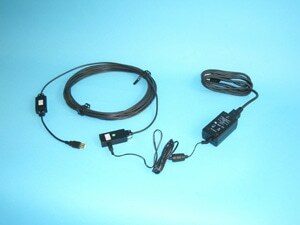 In order to operate the THERMES USB in full optical isolation from the host computer, a 10 meter optical cable with built in transmitter and receiver is available. When used with this cable, a medical grade isolated power supply provides power to the THERMES data acquisition system and the optical transmitter. As an alternative, a rechargeable Lithium Ion battery pack, the BP-1, is available to keep the THERMES-USB WFI or THERMES-USB completely isolated from the AC supply. For users who already have the Dasylab software, there is no need for additional software. The Dasylab Lite version 10 is the recommended operating software. The Lite version offers all of the required functions to display and store temperature data in graphical and digital formats in real time. The display can be customized to suit users’ specific application requirements. The Dasylab Basic version offers extra features for data manipulation as well as statistical analysis. The BP-1 Li-Ion battery pack is suitable for use with both the THERMES USB and THERMES USB WFI Type T temperature data acquisition systems. It enables the data acquisition system to continuously operate up to 100 hours without requiring any additional power source. It delivers 19 V, 16 V or 5 V DC output to operate a laptop or the THERMES for a longer period of time. The power supply has a capacity of 130 watt hours, allowing the THERMES to continuously operate for up to 100 hours. With a laptop, the operating time will differ from 3 to 4 hours in addition to the normal running time of the fully charged laptops. The BP-1 can also be used with OPT-1, opto-isolator cable with the adaptor cable provided. The status of the battery life is indicated by a charge-level indicator consisting of four LEDs. Weight 0.7 Kg or 1.5 lbs. Requirements Pentium class computer running Windows XP or 2000, 10MB hard drive space, CD-Rom drive and one open USB port.